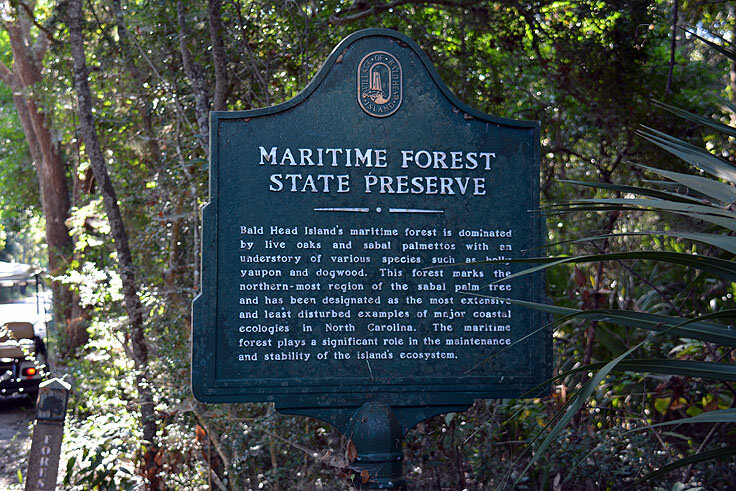 The 178 acre parcel of undeveloped territory, managed by the N.C. Division of Coastal Management (DCM), in partnership with the Bald Head Island Conservancy, effectively acts as a protector of the island, allowing storm winds to pass over the canopy of trees protecting the interior of the preserve and outlying beaches, homes and communities. The natural terrain also provides some extra elevation to the small, approximately 5 square mile island, with ancient tree roots that holds sand in despite any harsh storms or saltwater surges that pass through. 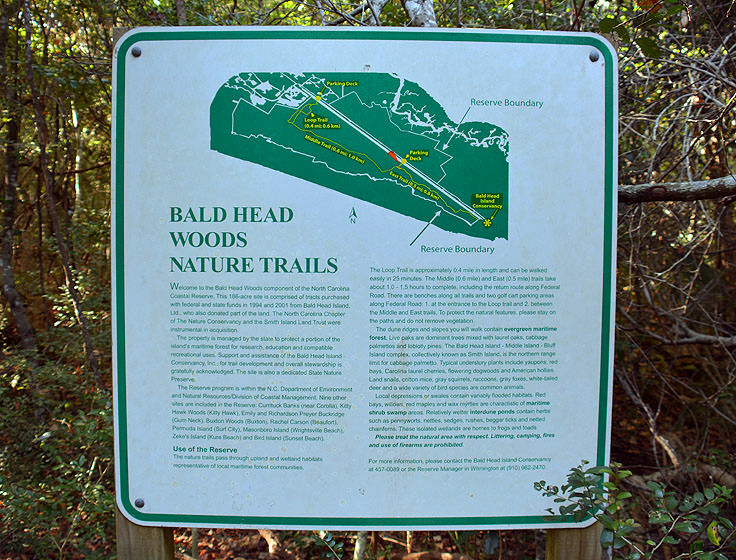 But despite being an instrumental component to the island's very existence, and a protector against erosion and storms, Bald Head Woods serves a more visible role as a fun, outdoor destination for visitors to enjoy off the beach. A popular spot with bird watchers, hikers and nature fans alike, this rustic destination allows vacationers to easily step off the beaten path, and dive into Bald Head Island's natural landscape. The reserve borders both a collection of oceanside communities and the salty Bald Head Island Creek along the southern portion of the Island, close to the Shoals Watch Club. 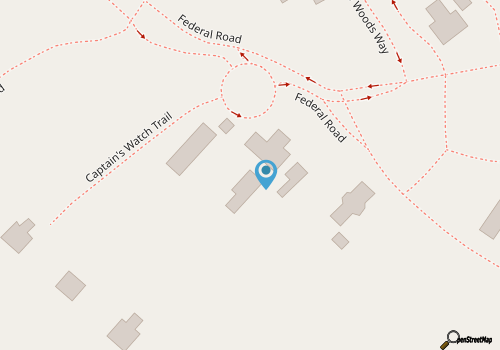 Federal Road cuts through the center of Bald Head Woods, and features several trailheads where adventurous vacationers can start their explorations of the undeveloped territory. Trails can vary from easy to moderate, and effectively make up an entire 2.2 mile "loop" which winds through the preserve in almost its entirety. The main trailhead features a famous resident - a live oak tree affectionately called "Baldy" by locals - which has earned a spot on the national Live Oak Society register due to its massive size. Baldy will certainly not be the only giant live oak that visitors encounter, however. 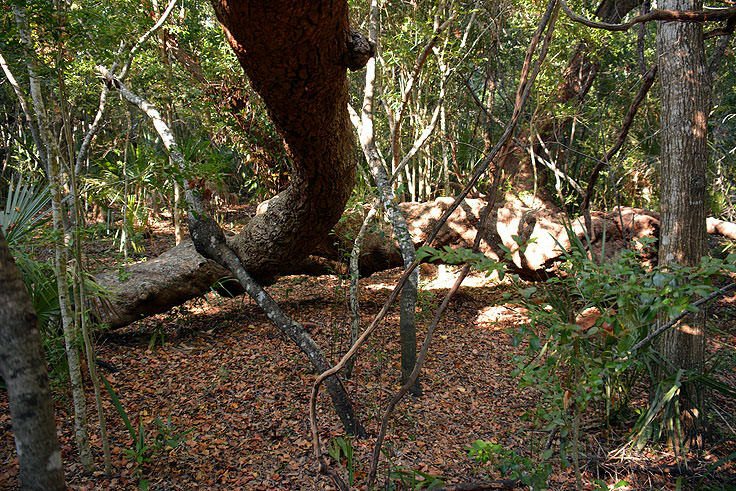 The interior of the preserve is protected by an intertwined network of giant oak trees, including live oaks and laurel oaks, which protect the fragile forest environment below. Smaller flora and fauna species that thrive under this canopy include wild olive, American holly, yaupon, and catbrier, and other shade-loving plants such as cabbage palmettos and spleenwort can be found throughout the woods as well. Nature lovers should be on the lookout for a number of wild residents, including gray squirrels, raccoons, white-tailed deer, eastern mud turtles, and even green tree frogs which take up well-camouflaged residence along the bright green foliage. Bird watchers will find plenty of vantage points to spot a number of woodland birds, including Carolina wrens, cardinals and blue jays, which are happily at home throughout this dense protected portion of an otherwise salty barrier island. While the woods provide ample shade from the sun, visitors will want to load up on bug spray, especially in the summer months when the reserve can serve as a haven for overheated mosquitos. In addition, visitors will want to keep their eyes peeled for ticks and snakes which, while rare, can still startle hikers that delve deep into the woodsy parcels of the region. 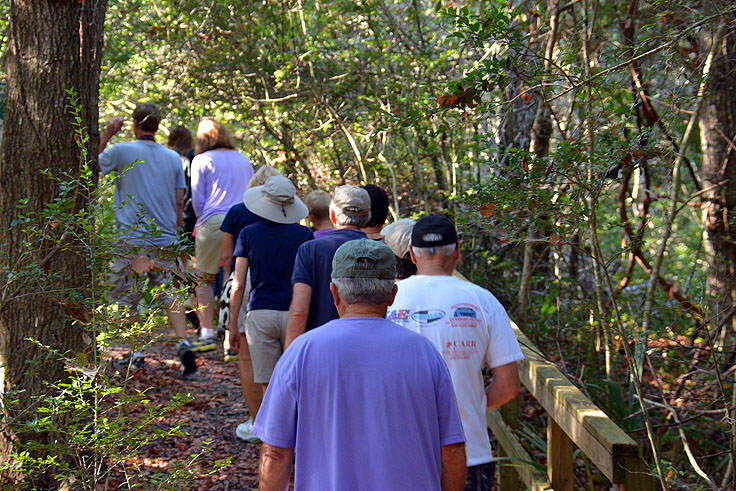 The reserve is open year round, and hikers can tour the terrain at will, although several local clubs and programs, like the Bald Head Island Club, may offer seasonal special tours which highlight some of the Bald Head Woods' most notable wild residents and plant species. Visitors can check with local calendars of events or their vacation rental companies for details on upcoming, guided excursions that coincide with their vacation. 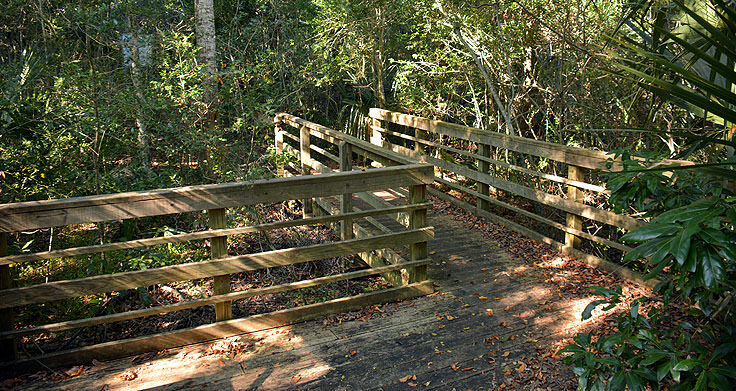 The Bald Head Island Conservancy, located nearby, can also provide visitors with a complete list of local trails to uncover and discover during a natural adventure through the heart of the island. Bald Head Island may have a reputation as an elite vacation destination, but a big part of its allure comes from its natural surroundings which both protect and beautify this barrier island. 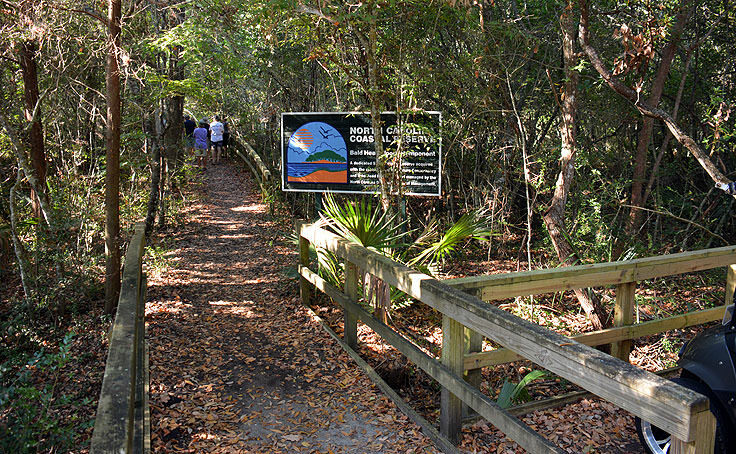 The Bald Head Woods State Reserve is a perfect representation of Bald Head Island's wild nature, and visitors from all walks of life can enjoy a quick stroll, an in-depth hike, or a simple drive through this undeveloped parcel of natural paradise. Unique and always fascinating during all seasons, Bald Head Woods is an incredible slice of wild North Carolina that sheds new light on this island's inherently wild nature.